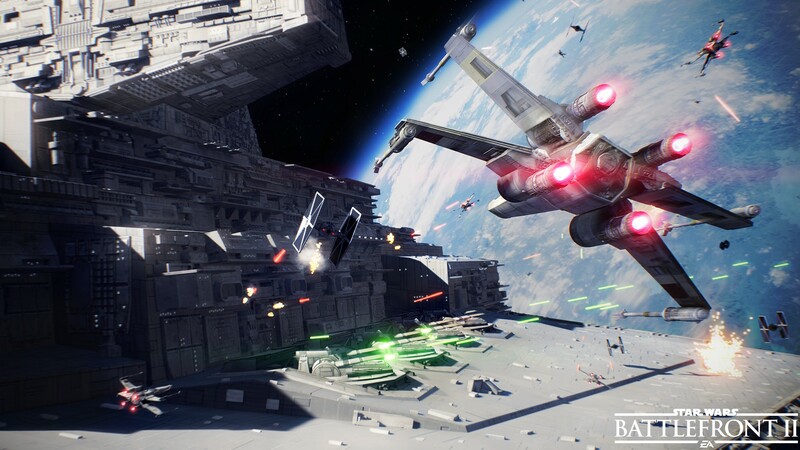 Star Wars Battlefront II, the new entry in the series created by DICE, has finally been announced last week, and it seems like it will improve on its predecessor in several different ways, with a proper single player campaign and more. Additional details on the game have yet to come, but we might have learned something new about it today, thanks to a new video shared online. In his analysis video, YouTuber MassiveG, who has proven to be quite reliable in the past, confirmed that Star Wars Battlefront II will include more maps than the original Battlefront, and that’s including all the DLC content that has been released for it. Considering that the lack of maps was one of the issues of the original Battlefront, this is very good news indeed, especially since Star Wars Battlefront II will receive additional map after launch. Additionally, MassiveG is going to share more Star Wars Battlefront II exclusive footage later today, so it won’t take that long to learn even more about the game. As mentioned above, Star Wars Battlefront II has been revealed last week, with DICE also providing details on the single player campaign, multiplayer and more. Forge a new path as Iden Versio, commander of Inferno Squad—an Imperial special forces unit equally lethal on the ground and in space. Encounter many of Star Wars ‘ greatest characters in a story of revenge, betrayal, and redemption that spans 30 years. Wage war in spectacular space battle scenarios. Weave between asteroids, fly across Imperial Dock Yards, and take down massive capital ships. Pilot renown craft like the Millennium Falcon or Luke Skywalker’s X-wing in exciting dogfights with up to 24 players. Play as—and against—Star Wars’ most feared villains and cherished heroes from all three eras, including Kylo Ren, Rey, Darth Maul, Yoda, and many more. Unique, upgradable abilities ensure classic characters bring their distinct powers and personality to the battle. Tailor unique abilities for each hero, trooper, and starfighter to gain the upper hand in battle with Star Wars Battlefront II’s diverse and powerful progression system. The path to victory is yours to decide. Star Wars Battlefront II launches on PC, PlayStation 4 and Xbox One on November 17th.